Laid out the class structure for a proposed FIM regional championship (or a radically revised AMA Pro Racing class structure. Today, before putting this line of thought to bed for a while, I want to clarify an ideal set of rules for the Novices' Cup class. Although the discussion that prompted this series of posts was a discussion about getting American riders into MotoGP -- IE, it was about the very top of the pyramid -- the way to get a nice high top of the pyramid is by focusing on building a nice broad, stable base. That's why the single most important part of a successful plan is the Novices' Cup. That's why it really doesn't matter what machine is used in this road racing class, as long as the rules stipulate that there is essentially no tuning needed or available. This should be for bone stock motorcycles, on the tires they come with from the dealership. Ideally, tires should last several race weekends. It can be a spec class for one particular bike. 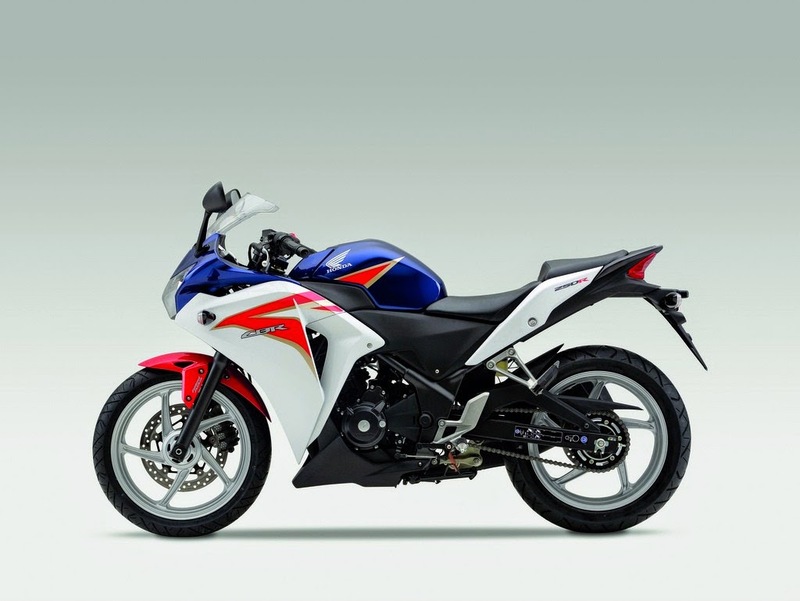 (Honda CBR250, Kawasaki Ninja 300, Honda CBR500 even.) 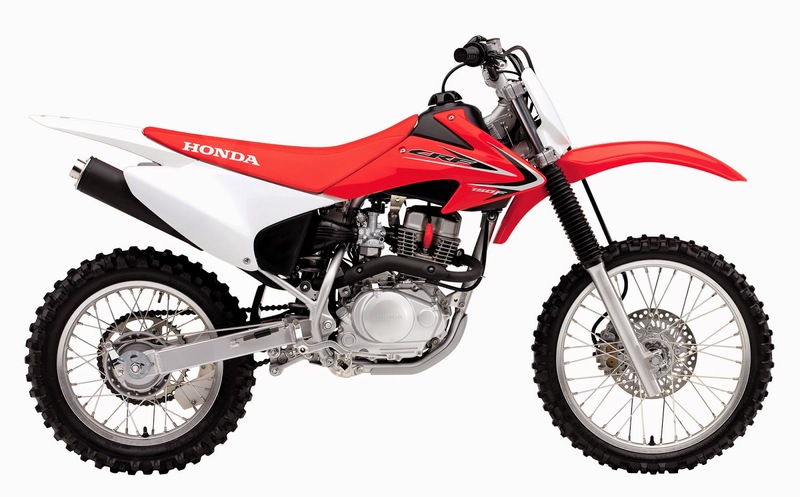 You could make it a Production 250/300 class, and just let competitors figure out which bike is best suited to the class, which would quickly turn it into a spec class. I'd weigh and dyno every bike on the podium, every time; set up and actually encourage a set of claiming rules; maybe even have the series put up the bikes, and let riders arrive with their own bodywork (if they have sponsors they want to promote.) What I'm saying is, there are ways to make a class like this really be a level playing field. If you've read this whole series of posts, you know that America's original rise in the 500GP class was the result of American dirt track racers transitioning into Grands Prix at a time when their sliding skills were at a premium. While that's less true today, you could argue that Marc Marquez' style has again put a premium on sliding skills. 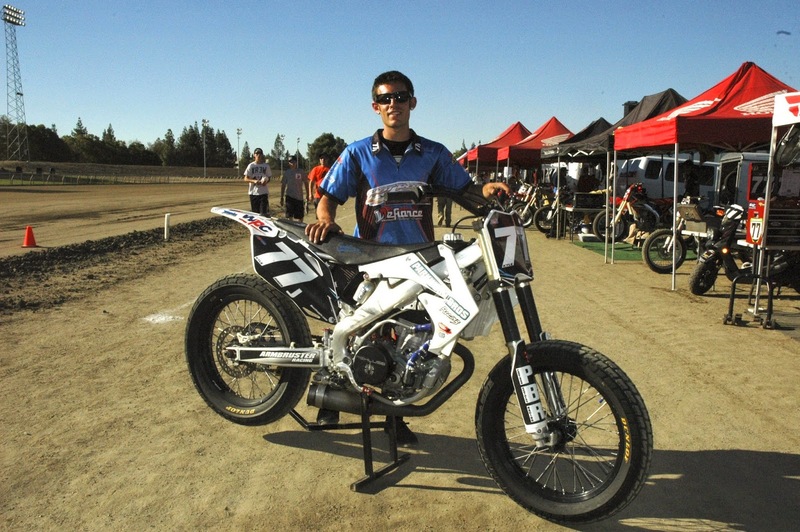 Although he's a Spaniard, he's obsessed with flat track, and trains on his own short track all the time. And, there are lots of influential people (Valentino Rossi, for example) who are pushing the MotoGP rules-makers to reduce the effectiveness of the electronic traction control in the top class. If those rules come into effect, we'll see another opening for great dirt track racers to move from the U.S. to the World Championships. So… while I'd welcome riders in the asphalt-only Novices' Cup, I'd award the #1 plate for combined points, earned at a roughly equal number of short track races. Ideally, I'd like the short track races to run in conjunction with AMA Nationals. That way, up-and-coming Pro Singles riders would be encouraged to enter the Novices' Cup class, and we'd tap that impressive talent pool, some of whom would buy a CBR250 (or whatever) and road race it. Winning the Novices' Cup should result in a 'scholarship/sponsorship' that covers a full ride in Moto3 the next year. The second and third overall should get sponsored in Moto3, too, and those top guys should be forced to move on to Moto3. As I noted yesterday, for my system to work as well as possible, I need functionally identical rules at several big club racing championships around the country. IE, we'd want a local Novices' Cup class in the AFM in Northern California, and a Novices' Cup in the Loudon series. Novices' Cup racers need several more chances, every season, to get out and race. The goal here is to create a class that a promising kid can enter, race locally and attend 5-6 nationals a year, for a couple of years, at a total cost of under 20 grand. Developing talent at the grassroots level should not cost more than having a kid play baseball in 'travel league'; that's already expensive enough. I'm focusing on this because I am pretty sure that whatever Dorna and Wayne Rainey end up doing, I think it will be an effort to move young American racers who are already pretty fast up to the top of the racing pyramid. That's great, but the long term success or failure of the get-some-Americans-into-MotoGP program hinges on having a broad, strong base. We need an affordable way to develop talent, and an effective way of identifying the racers who deserve help in order to further their careers. Take care of the base of the pyramid, and the top will take care of itself. Mark, I think you have come up with a great approach to a very tough issue, but you provide a workable direction. I would be curious to see how many European and other non-American entrants entered each class -- sort of how American auto racers (such as Danica Patrick) go to Europe forr opportunities to race and develop their skills.